I don’t know how it is possible, but Easter is only three weeks away! 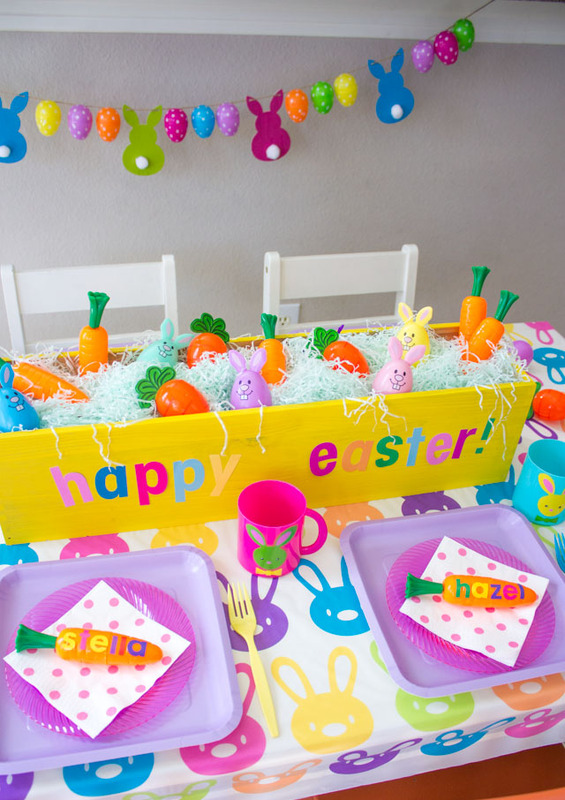 I created this Easter bunny brunch for Oriental Trading over a month ago, but I can’t wait to recreate it for Stella and Hazel and a couple of their friends for a fun playdate and backyard egg hunt! By covering a kids’ play table with a colorful tablecloth, blowing up a couple Easter bunny balloons, and creating a simple centerpiece of candy-filled eggs, you can make for an extra special brunch without a lot work on your part. 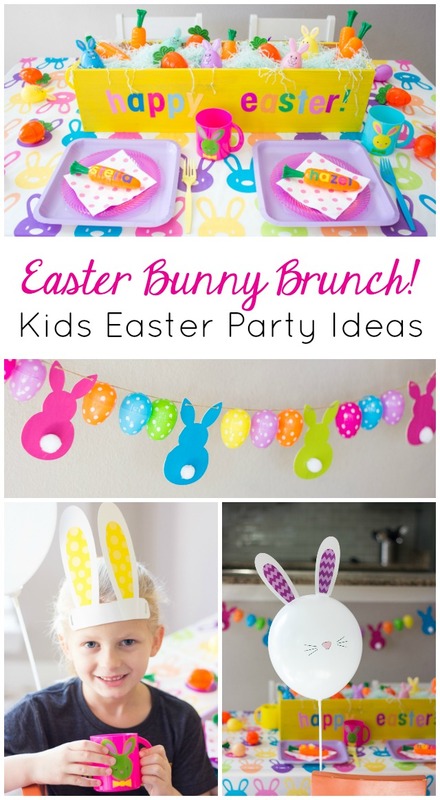 This Easter bunny garland is also simple to make. 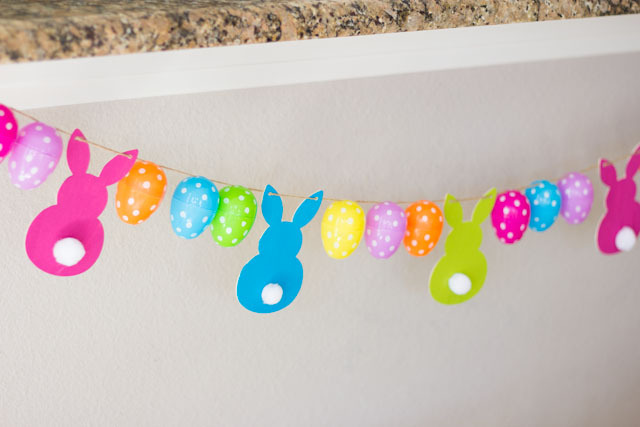 Just paint these wood Easter bunny shapes and string them onto twine along with some colorful plastic eggs. For simple and kid-friendly brunch food I plan on muffins and fruit, and a special drink in these cute bunny mugs! 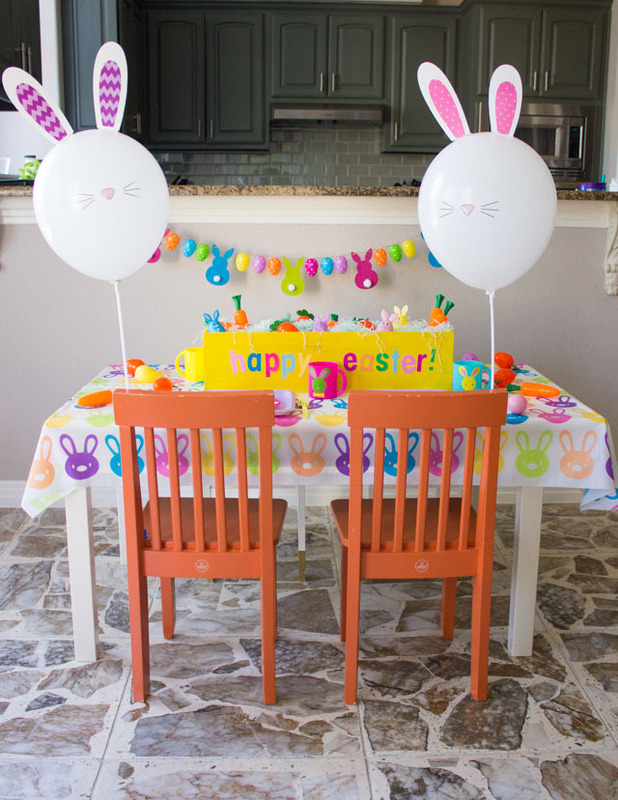 Head to Oriental Trading’s blog for all the details of the Easter Bunny Brunch including the DIY carrot patch centerpiece, bunny garland, and bunny balloons!